Tall and slender with healthy looking tan skin. He is a bit on the paler side even with the sun’s rays having given him a bit of color though it is a nice shade and not at all a sickly hue. Standing at six feet four inches tall he has some tone to him, but he isn’t a bulky man. He is beautiful as far as the place he came from were concerned. He has a rather heart shaped face that makes him look a little more female than male, though only very slightly in the face. He has long ears and normally has three small hooped earrings on his left ear. His hair is long and falls just past his shoulders. Normally the dark blue locks are braided into a waterfall braid with a small braided ponytail over straight hair. Tiarsus isn’t perfect though. On his right shoulder blade reaching down to just before his spine at an angle he has a large scar from a sword as well as some burn scars on his back that are covered by black tattoos of star constellations from his old home. 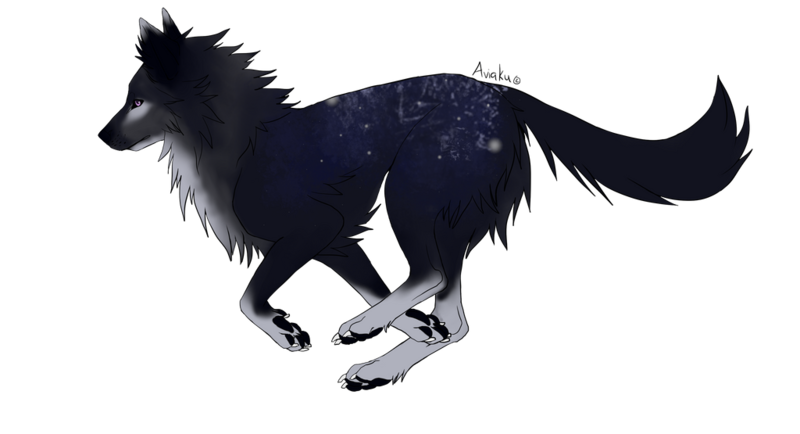 It is mostly the constellation of the wolf who were he came from was known as the bringer of hope on the battlefield. As far as what he wears he has never been one to show off his status in life with fancy clothing. Instead he wears dark colored pants, and a simple plan colored light grey shirt, though sometimes he wears a white shirt with dark shoes. Over his shirt he has a navy blue jacket. He is always draped in a hooded brown cloak when out in public away from his guards. Normally it is to help him hide from said guards. At his waist he has a long sword with a gold handle that used to belong to his father. The handle of the sword has the face of a wolf and a rose on it. Which was the crest of his family and the symbol found on the kingdom’s flag so it is a symbol that means a lot to him. A wolf of many shades Tiarsus is a bit taller then the normal timber wolf by a few inches. Standing three feet at the shoulders he is a bit willowy as far as his weight goes. Being around one hundred seventy-four pounds he isn't that heavy compared to his height. This is because he is more of a lean wolf, his fur of dark blue and grey covers the areas of him that look a tad skinny. Speaking of his coat it is made up of beautiful hues. Mostly dark blue which is almost black in the right light. On his shoulders, back and hips he has lighter shades of blue that mix together to look somewhat like the night sky. White spots even scatter across this area giving the appearance of stars.On his paws and legs light grey stockings can be found that give the eye an much needed break from the darkness of his hide.The light grey can also be found on his throat and chin. Around his neck and part of his face he has a darker grey. Under his lovely lavender eyes he has spots of light grey as well. Running up his muzzle (including his nose) is his dark blue. It can also be found on his ears with the tips of his ears being light grey. Kind and caring Tiarsus was raised to be a strong willed young man, but also a compassionate one. He has a passion for wanting to help others, but he is far from a push over. There is a regal air to him and he is quiet confident, but he is far from an ego filled snob. Though he does have times when he loses his temper he tries to keep it in check. The quickest way to get on his bad side though is to endanger someone he cares about be it family or just someone under his watch. A protective soul with his younger siblings being those that he is most protective over. He does try not to be over protective of them, but at times that is hard and he needs to be reminded that they are their own beings. The man is well rounded, but a bit confused and lost with the recent loss of his father and many other from his homeland. He is a smart man though and keeps himself busy as he tries to pick up the pieces. All the while hiding his fear behind a brave face. He has many fears, the strongest being that he will fail to live up to what others believe him able to do, as well as thunder. Though the thunder isn’t a recent thing he has always had a fear of it. It is strange though as he is okay with lightning, it is just the loud booming sound of thunder that puts him on edge. Born in a land much different than Amarna. yet rather similar in many ways. A land called Ellennora. It was a beautiful land and Tiarsus was born the first born child of King Selanar and Queen Rosemary. His parents rule the land fairly, and with pride. When he was nine his young brother was born, and then when he was seventeen his little sister came into the world. For much of Tiarsus' life the land was peaceful. Or so he though, what Tiarsus didn't know was that his half uncle was jealous of his brother the King and had been plotting to overthrow the family for years. It happened rather slowly at first. Starting with the autumn of his twenty-fourth birthday fires started to break out at the outskirts of the kingdom. At first it had seemed random, but then it became apparent that someone was setting these fires. No one could figure out who though. Seeing this as a chance to get out and help the people he was in line to rule over Tiarsus left the capital with the captain of the royal guard, seven knights and two healers. They investigated the fires, did what they could to help the people who had lost their crops for the coming season and worked hard to find whoever was behind the crimes. That is when the deaths started to happen within the capital city. At first it was the poorest being killed, but it quickly moved to a lord being murdered. Though after the lord more and more came up dead and there seemed to be no reason to it all. After months away from the castle Tiarsus and his group finally found the small group of bandits who had been starting the fires. They said they had been hired by someone, but wouldn't give up any names so they where brought back to the capital and put in prison. Though upon his return Tiarsus learned of all the killings that had been happening. Wondering if perhaps whoever hired the bandits was behind the killings he went to talk to them only to find that all of them had been killed. This put everyone on even more alert was no one saw anyone strange go in or out of the prison which made it seem like an inside job. This went on for a while almost three years, and the land seemed very dangerous and plunged into chaos. Then when things seemed to be at their worse the murders just stopped. This confused everyone and put some on even more of an edge. The kingdom was just to the point where they were starting to lose faith in the royal family. After that the land was quiet and started to get back to normal. That was until the army of an enemy from across the sea showed up called Yensora attacked. The kingdom went into darkness once more as the war took many from everyone. For a while they where able to hold them off until one summer evening when a small part of the army found it's way to the city guided by information of old tunnels given to them by his jealous uncle. The army was ruthless and the king ordered for the city to run, for his family to leave the castle and take the servants, their families and the guards with them. His father told him to take them and run, and to be the king they will need him to be before he and a group of guards and knights loyal to the very end to their king ones who refused to leave him stayed to help give everyone a fighting chance. So they left. They fought their way though the tunnels, and then the city when the tunnels became to dangerous. On the way they lost some who stayed to help them flee as well as picked up a few who where trying to get away. Mostly children, but some others as well. They ran for days, for nights until the loaded a ship and set sail in hopes of finding a new place to start over. Weeks past and when it seemed like all hope was lost the ship go caught in a storm which Tiarsus must have hit his head or something at one point for when he woke up he was on the shore of a new strange place. More shocking was that he wasn't an elf, but instead in the body of a wolf. Strange things have started to happen to him and ever since he has arrived in this land Tiarsus has found he has these new strange powers of sorts. Able to freeze water that he touches if he thinks about it. Though he has to focus on it, but give in a minute or two and the water will freeze. The ice isn’t that thick nor can be make a big area freeze. Only an area about a foot wide. He also needs a source of water as he can’t just make the ice out of thin air. Depending on how cold it is around him is how long his ice last. 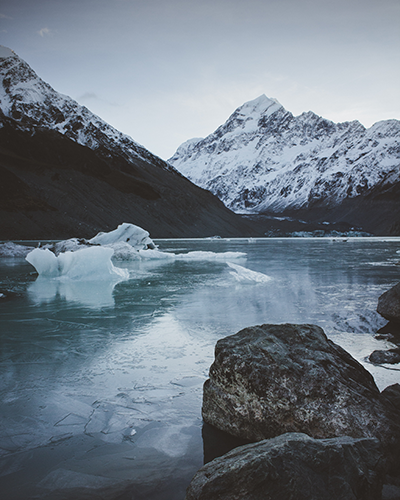 In hot or warm areas it last only mere seconds before it starts to melt away, and in cool and cold areas where one would normally find ice it can last up to ten minutes before his ice disappears and is taken over by the natural elements that were there first.